Both men and women can be harmed by soy protein, which can usually be found in various supplements used for building muscle. Most of these soy products are made from soy protein isolated, or SPI. SPI is the possibly dangerous aspect of soy protein, as it contains multiple compounds that may be harmful to your health. These are detailed below. 3. Phytoestrogens: These disrupt the function of the endocrine gland and can cause breast cancer. As a result, they can possibly also cause infertility in women. Men can suffer from sexual dysfunction due to the hormonal imbalance that it may cause. 4. Aluminum: This is a neurotoxin that can make it more likely that you will develop Alzheimer�s or another neurological disorder. 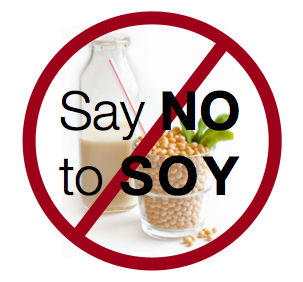 By examining the history of soy, we can further understand this problem. Soy was not always popular, but after it began to be used for oil distribution, soy waste was chosen to be used as a supplement for various foods. Essentially, isolated soy protein is filled with carcinogens and toxins and is little more than an industrial waste product that has been marketed and sold as a kind of food.